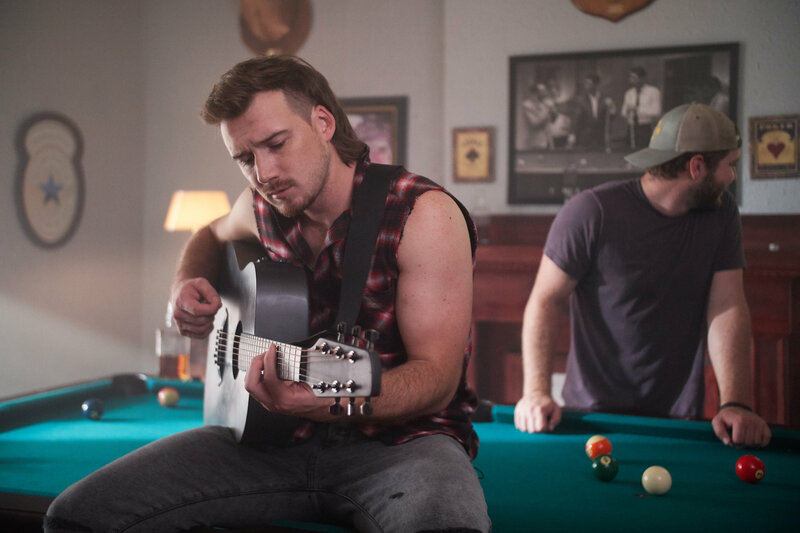 NASHVILLE, TENN. (September 28, 2018) – Fans will “see the world through whiskey glasses” this weekend as Big Loud Records’ wildfire talent MORGAN WALLEN reveals the music video for his brand-new, chart-climbing single. The “Whiskey Glasses” video is set for a world premiere on CMT Hot 20 Countdown this Saturday (9/29). To celebrate the release, Wallen will take over CMT’s Instagram stories for the day. Follow along here. Directed by Justin Clough, the clip follows Wallen as he bounces back from heartbreak by throwing down whiskey shots, a spur-of-the-moment haircut and a rowdy performance at the local bar. PEOPLE.com took an exclusive look behind-the-scenes and got Wallen’s first-hand take on bringing his new track to life on camera. Click here to see the exclusive PEOPLE.com gallery. With its true-blue Country storytelling and classic play on words, “Whiskey Glasses” has tallied 16 MILLION plus overall streams as it gains traction on the Country radio airplay charts. The follow-up to his PLATINUM-certified #1 summer smash “Up Down” (featuring Florida Georgia Line), the track is featured on his red-hot debut album IF I KNOW ME – available now. This weekend Wallen will return to the road for back-to-back shows in the Midwest, with stops in West Allis, WI (9/28), Dubuque, IA (9/29) and Beardstown, IL (9/30). Next up, he will bring his party-starting energy to Jake Owen’s LIFE’S WHATCHA MAKE IT TOUR 2018, kicking off October 4 in Wilkes-Barre, PA.